There’s one goal every business has in common: to make a profit. After all, money keeps your business afloat, pays the bills, and allows you to take home a paycheck. But when you’re planning and strategizing ways to achieve that goal, there’s one variable that isn’t always easy to determine: your audience. Who would benefit from my product/service? How do I position my product to spark interest and encourage them to buy? ...but it shouldn’t be. Actually, there are plenty of ways to take the guesswork out of getting to know your ideal customer and make more accurate, data-driven characterizations. Data may not sound very thrilling to you (especially if you’re the right-brained, creative type), but the possible outcomes of understanding your audience can have a huge impact on how you bring in sales for your products or services. And that’s something you can definitely get excited about. For those of you who’ve been keeping up with my visual marketing posts this month, this article will help you come up with more accurate insight/benefit statements for the winning concept we talked about on Friday. And for those of you who haven’t been keeping up with my visual marketing posts, it’s never too late to join in! Catch up here. First, why focus on the ideal? The first year of business is experimental; you learn as you go. You learn what works and what doesn’t work. You learn which products bring in money and which products are a waste of time and effort. You learn which ventures are sustainable over time and which ventures are unrealistic. And little by little, you start to narrow down exactly what you want to be doing and what you want to be known for. That refinement process often involves a change in your audience. The people who started following along with you at the start of your business may not be the people who would buy from you now. Your ideal audience is made up of potential customers and clients; the people who would be interested in purchasing your offerings. Which is why we’re focusing in on the ideal. The goal isn’t to bring in tons of traffic to your site; it’s to bring the right kind of traffic to your site so they’ll buy from you down the road. And here’s how. In order to make sure you’re targeting your ideal audience, you need to take a look at your current audience to determine whether or not you’re on the right track. If you’re curious about the age, gender, and interests of those who are currently visiting your website, look no further than your Google Analytics dashboard. By scrolling down to Audience in the righthand menu and selecting Demographics, you’re able to see the ages of those who have recently visited your site. You’re also able to take a look at whether the majority of people visiting are male or female. Google Analytics also allows you to dig a little deeper and find out about the interests of your audience. Simply scroll down to the next item in the Audience menu: Interests. By understanding the age, gender, and interests of your current audience, you’ll gain a better understanding of whether or not they might be interested in your offerings. If there’s a difference between the people who are currently visiting your site and those who would be interested in your products or services, you might need to bridge the gap one of 2 ways. 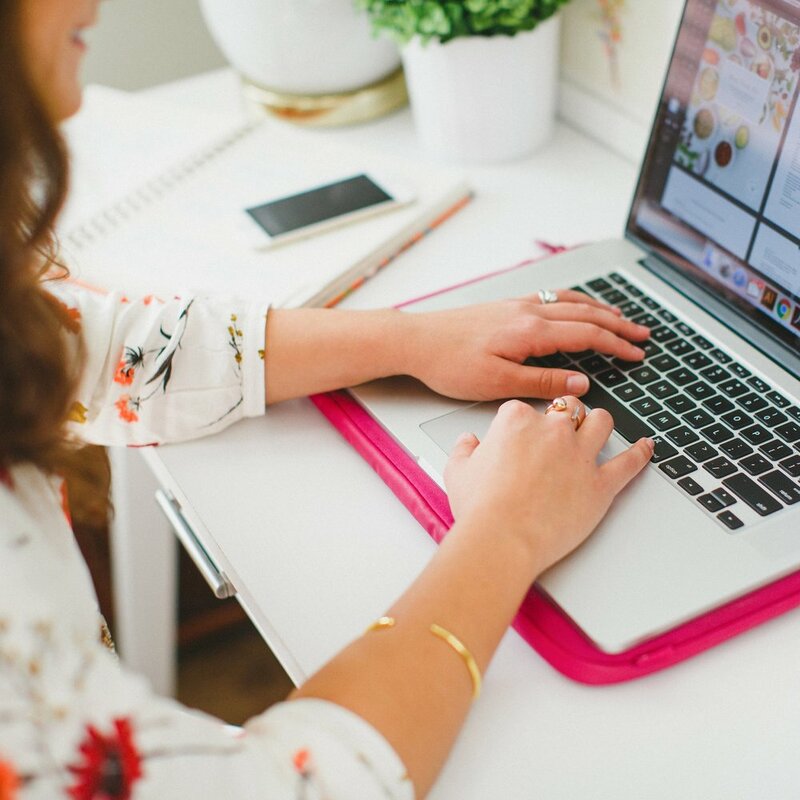 If your blog content has nothing to do with your business or provides no value to potential customers or clients, it might be time for a change. Consider which types of posts would benefit those who would purchase your products or book your services. For example, Elle & Company originally started as part design business, part personal blog. 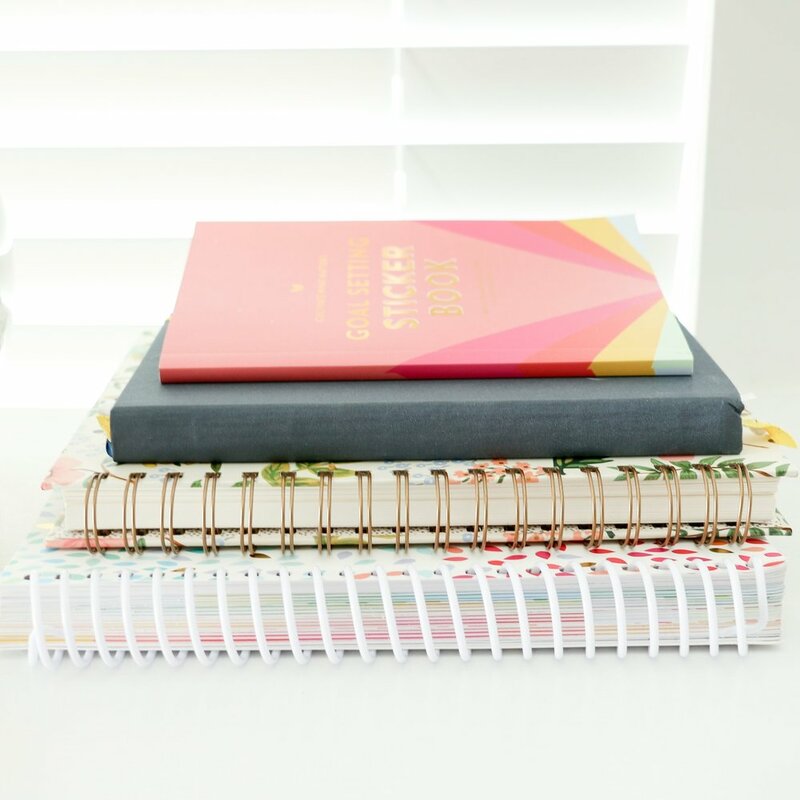 Other than the occasional portfolio post, the content I originally shared on the blog attracted an audience of young women in their early twenties, most of whom weren’t business owners who would ever be interested in booking my design services. In order to bring in my ideal audience - potential design clients - I began to blog about topics that would interest them. I shared about the do’s and don’ts of logo design, my creative process, and my favorite design tools. Not only did the new content increase my credibility, but it brought in the right kind of visitors. If you’re in a similar boat, I highly encourage you to take an honest look at your website. Does your content provide value to your ideal audience? If not, you might be overdue for a change. Tactics 2-8 will help you understand your ideal audience better and come up with content that would appeal to them. If your current audience is large, you might take the opposite route and alter your products/services to attract the people who are already following along with you. You can use tactics 2-8 to get to know them even better and find out which offerings they would be interested in seeing you provide. Blog comments are a thing of the past right? Wrong. Those who comment on your blog are actually 5x more likely to buy something from you. And if you think about it, that data makes perfect sense. The people who take the time to not only read your posts but provide feedback on them are your most loyal fans. They’re the people who are most interested in what you have to say and what you have to offer. So why not take advantage of that little fact and start to ask them questions? After each post, consider which feedback would be the most helpful for you to know in order to provide them with more value, whether it’s through your products, services, or other blog content. And then, once the replies start coming in, take the time to follow up with each commenter. Click on the URL they provided with their comment and take a look at their website, if they have one. Develop a conversation to get to know them better. Keep the relationship going. You might be surprised to learn (a) who actually takes the time to respond and (b) the insights and ideas they’re more than willing to give you. You can (and should) consider conducting a survey with your current audience to learn about the demographics and interests of those who are already following along with you. Like I mentioned in tactic 1, it’s helpful to weigh your current audience against your ideal audience. But what better way to gather information from your ideal audience than to straight up ask them for it? My challenge to you: Get out of your comfort zone and survey individuals who are actually a part of your ideal audience. Ask them about their interests. Find out where they spend their time and their money. Discover their age range, income level, stage of life, and education. Tell them about your product or service and ask them for honest feedback about whether or not they would be interested in it. And if not, ask them what might make it more appealing. While this option might be a little more intimidating than logging into Google Analytics, the information you receive from in-person surveys will be invaluable. The key advantage of social media is engagement. Those who engage with you the most are often those who enjoy following along with you the most and would potentially buy from you. So start paying asking for and paying attention to feedback. Click on the accounts of those who like, share, and comment on your posts. Read their profiles to learn more about which stage of life they’re in, where they’re located, and what they’re occupation might be. Scroll through their recent posts to get a feel for what they’re interested in. Look at the other accounts they follow along with. You would be amazed by the amount of information you can obtain by taking a look at those who engage with you. And remember, it isn’t “creeping” - it’s research! If you’ve never taken the time to look at the analytics in Mailchimp (or whichever email marketing service you prefer), prepare to be stunned. By clicking on the Reports tab, you’re able to not only see how many people open your emails and click the links included in them; you’re able to see who has opened and clicked. You’re also able to see who opened your emails the most, which links were clicked most, and the top locations by opens. All of this information is helpful for seeing who engages with your content the most (opens and clicks), who doesn’t care about your content very much (unopens), and which content is the most appealing to your audience (clicks). You’re also able to see the states and countries your audience is located in. Like Google Analytics, this is most helpful for learning more about your current audience than it is in learning about your ideal audience, but it’s another useful tool for determining whether or not the current and ideal add up. In order to attract ideal customers, it’s helpful to know what they’re looking for. Which is why forums (as dull and outdated as they may sound) can be extremely useful. Especially Quora. Quora is a website “where questions are asked, answered, edited, and organized by its community of users.” You can ask practically anything on the forum and receive feedback fairly quickly. In order to give you helpful, relevant feedback, Quora allows users to follow along with different topics when they first sign up. If you’re interested in photography and specifically use a Canon DSLR, you can choose to see questions related to that topic. Consider using Quora both to ask questions and to scroll through existing questions. Not only will it be helpful for seeing the topics and questions your ideal audience is interested in, but it might help you come up with helpful blog content and product ideas that would appeal to them. Does someone else in your industry have an existing audience that matches up with your ideal audience? All is fair in love and war, my friend. Consider what your competitor is doing to attract that audience. Why do people enjoy following along with them? What value are they providing? Consider which types of content your competitor shares. Do they focus on their blog? Do they emphasize social media? If so, what does their content include? Which posts get the most engagement? Consider the demographics of that audience. How old are they? What is their occupation? What are their interests? While the intention isn’t to copy your competitors, it’s wise to pay attention to others in your industry who have your ideal audience and study what they’re doing right. Identifying and understanding your ideal customer is a fundamental part of developing an effective visual marketing campaign. If you don’t know who you’re trying to appeal to, you’ll miss the mark every time. Do you have a good idea of who’s following along with you and who you want to follow along with you? How have you conducted your research? What tactics have you found helpful?